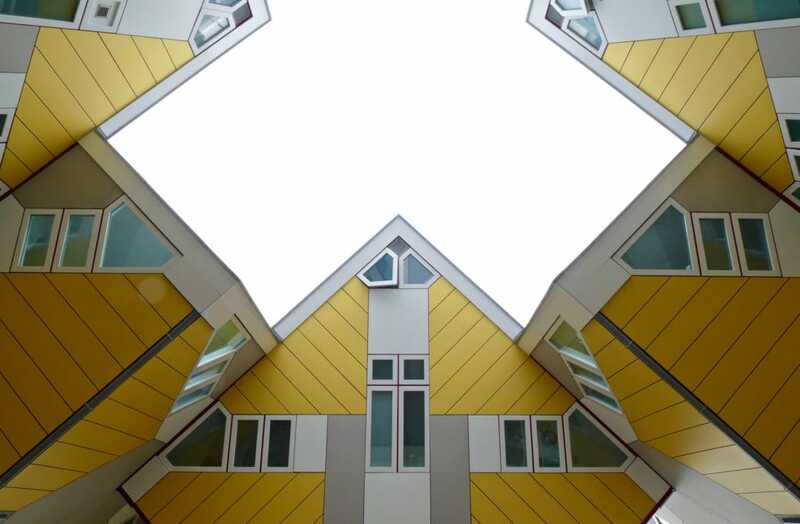 “Every city needs a living room and there was no such thing in Rotterdam yet.” – Jan Knikker, MVRDV architects. 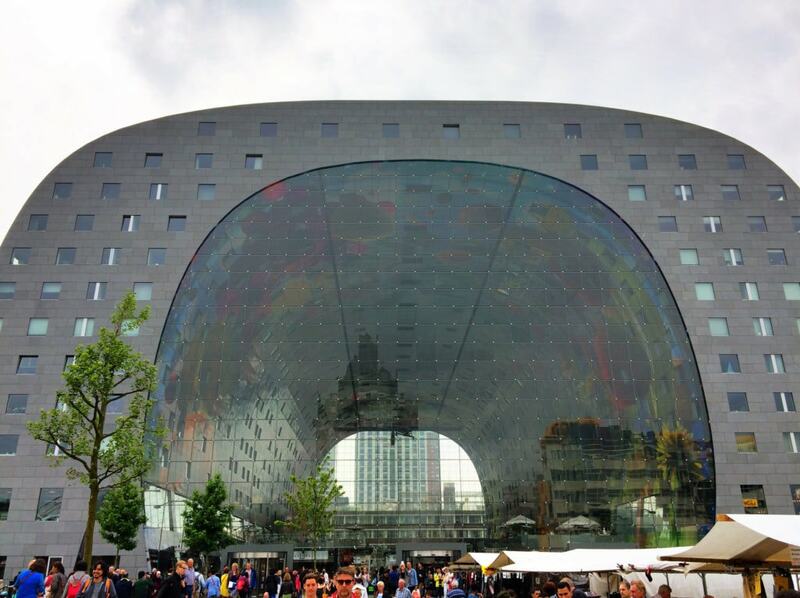 We are a big fan of Rotterdam…. 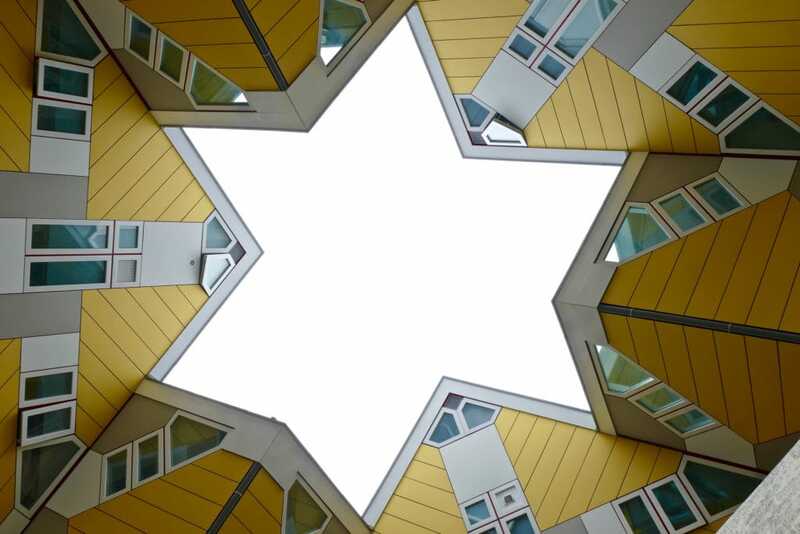 We had to pleasure of joining an international press trip to explore Rotterdam from a different angle than we normally would do: architecture & design! This is part 2 of our story. Like in part 1 I wanted to start our story with a quote that left me thinking. What does architect Jan Knikker mean with a living room inside a city? 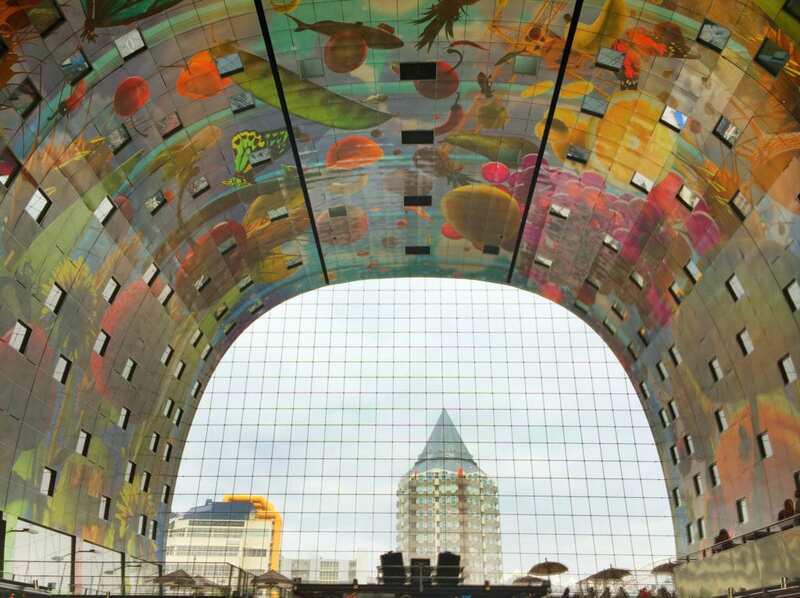 This quote about creating a living room within a city is all about the Market Hall (Markthal in Dutch), one of the latest additions to the architectural database of Rotterdam. The Market Hall has changed the center of the city by adding this large interior space not seen before in the Netherlands. A place where you can live, eat, drink, shop or just relax and enjoy yourself. Curious? Just read on! Welcome to part 2 of this story about Rotterdam’s achievements in architecture and design. If you have not read part 1 yet, feel free to click here and have a look. Or just continue. Both posts can be read separately from each other. In this post I’ll show you buildings that should be on your Rotterdam itinerary, especially if you are a fan of architecture and design! 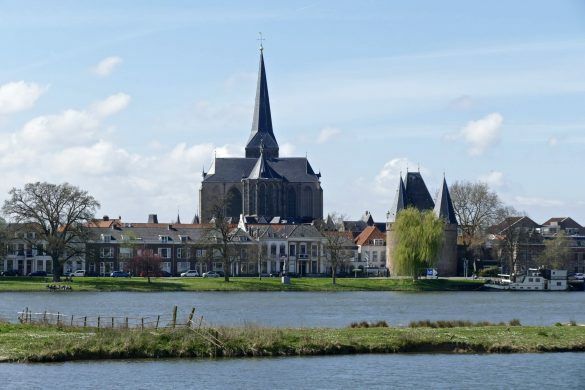 This post covers: (1) Market Hall, (2) Cube Houses, (3) UNESCO site van Nelle factory, and (4) Sonneveld House. 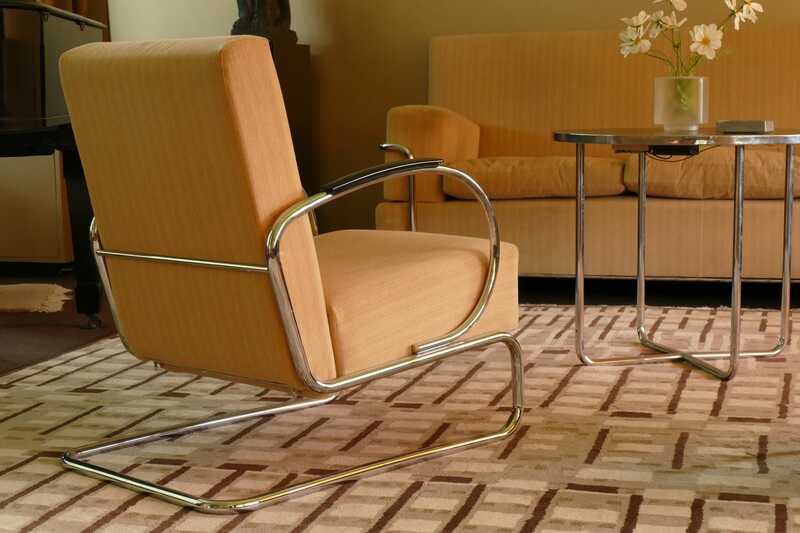 All different wonders of architecture with styles ranging from the 1930s all the way up to the 2000s. In Rotterdam the building and renovating never ends. Flattened almost completely by terrible bombing in World War II, its process of resurrection continuous to date. The quick rebuilding after the war was one without a clear style. That has changed. Construction-wise also I have seen the city of Rotterdam heading into a planned and well-thought direction in the past years. Architects seem to be in the lead. Working in the construction industry myself, I have seen projects where the role of architects have been taken over by cost-oriented project developers and engineers. However, architects have to safeguard their role and influence in building projects, tackling urban issues like immigration, water management, sustainability, etc. It can’t be only about costs. 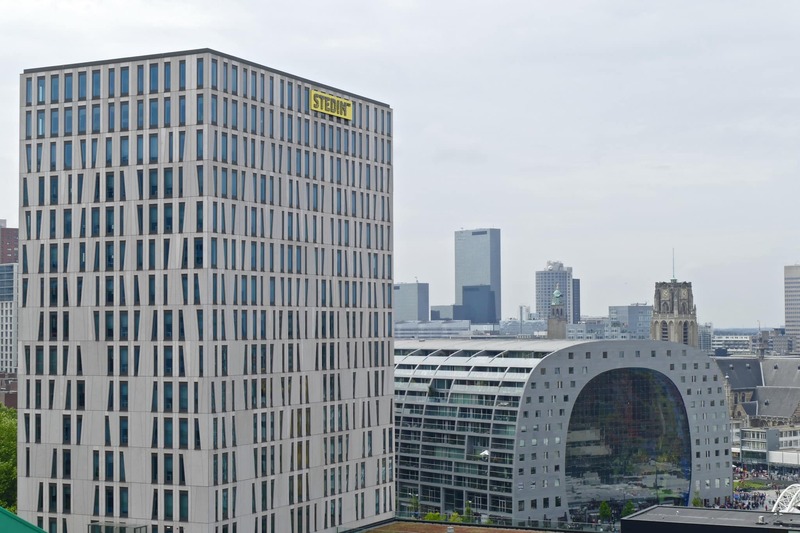 Cities need a collective architectural effort and that’s why I think Rotterdam is such a great example when discussing (the role of) architecture. 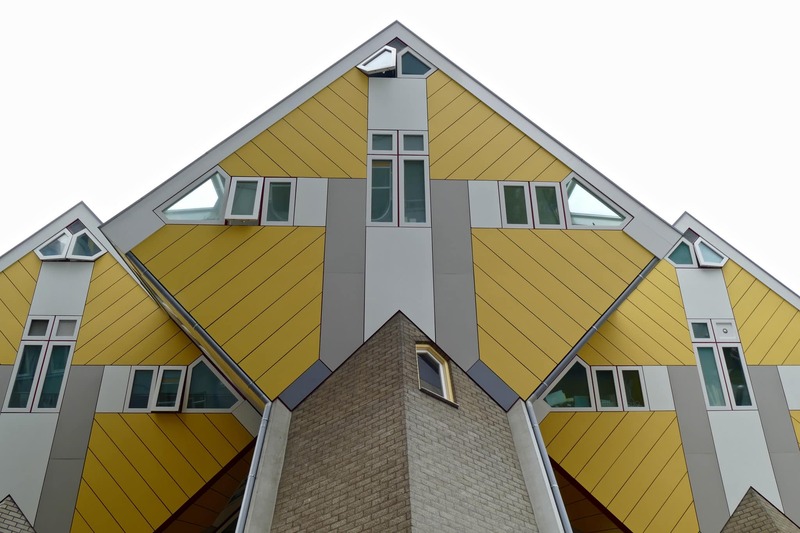 To witness further transformation through architecture I hope to travel to Rotterdam regularly. And you should too! But first let’s go and introduce you to some interesting spots. What to say about the Market Hall that has not yet been mentioned on websites and blogs all around the world? The building has received huge amounts of (international) attention since it opened on 1 October 2014. Standing firmly in the center of the city, the building has a remarkable horseshoe shape. Before the Market Hall arrived that particular area was large and empty, hosting an open-air fresh produce market once or twice a week. 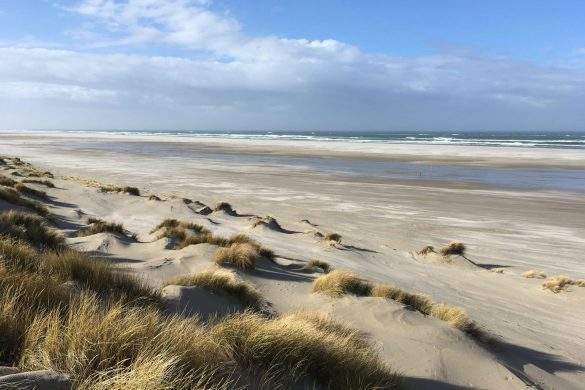 It was ugly, unattractive in its flat and desolated way. Attention for the Market Hall is not only focused on its exterior design. Inside it’s even more impressive. 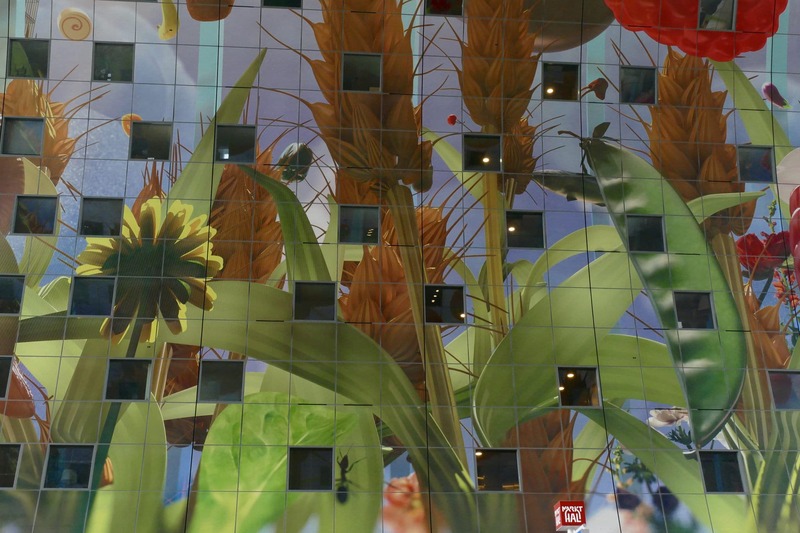 The interior is one huge mural featuring gigantic and colorful fruits, vegetables and other market goods. You almost feel like Alice in Wonderland…. On the ground floor you will find dozens of high-quality fresh produce stalls. Visit just for shopping or stay for lunch or even dinner. But there is more. 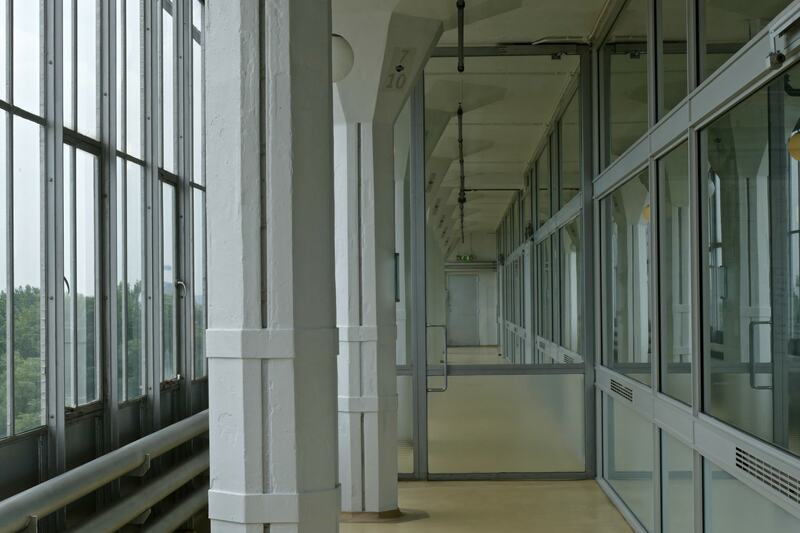 With 228 apartments, restaurants, shops and parking spaces, the building is a special place because it combines all these different functions. Combining these functions has started a new urban typology which is not found anywhere else in the world. 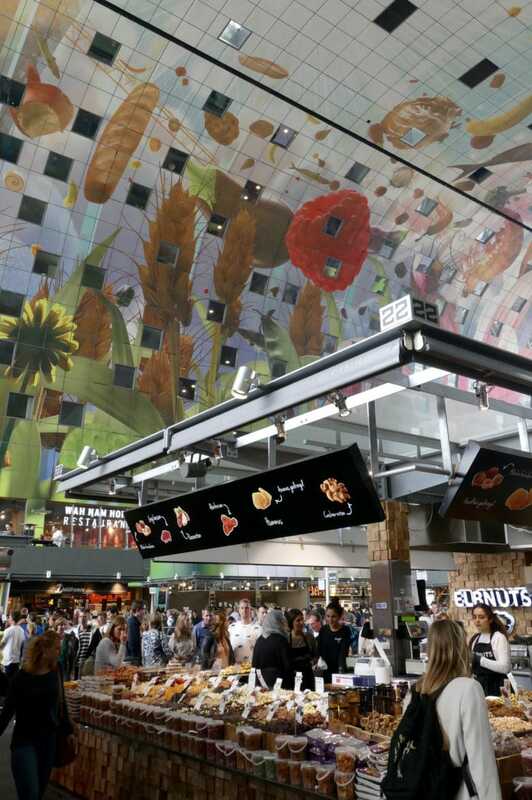 The Market Hall does bring back a certain level of vitality in Rotterdam’s city center, but walking around I missed the real enthusiasm from visitors and shop owners. Despite criticism about being too fashionable and luxurious, it still however draws thousands of visitors per day. 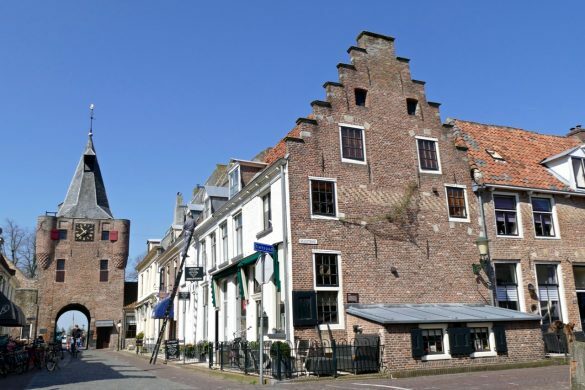 The famous Cube Houses (Kubuswoningen in Dutch) right across the square from the Market Hall should be your next destination. 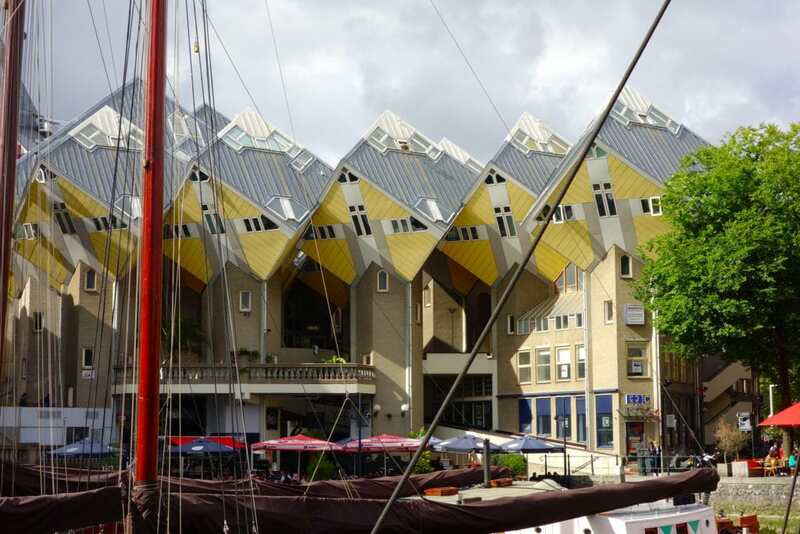 Designed by Piet Blom, this forest of yellow cube houses on pillars was built in the early 1970s already! 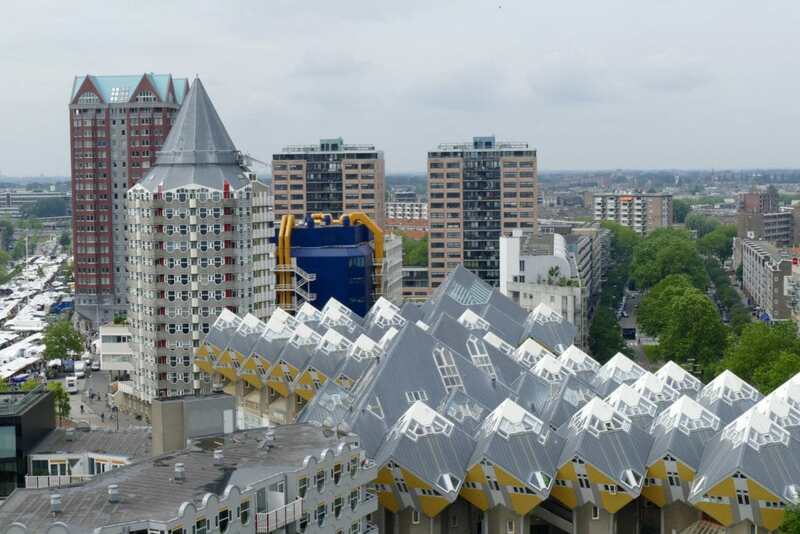 Blom created an urban roof with public space available below and between the houses. His idea was to design a village within the city, a safe environment with again different functions (shops, playground, school, etc.). One of the houses has actually been transformed into a museum. Walk around in this Show Cube and experience a house without straight walls! Stayokay has a hostel inside one of the cubes if you want to spend the night. Wander around slowly in this forest on pillars. Don’t forget to look up! The remarkable shape of the cubes offer interesting perspectives. With dozens of different museums, Rotterdam caters to art lovers. One of them is Kunsthal. 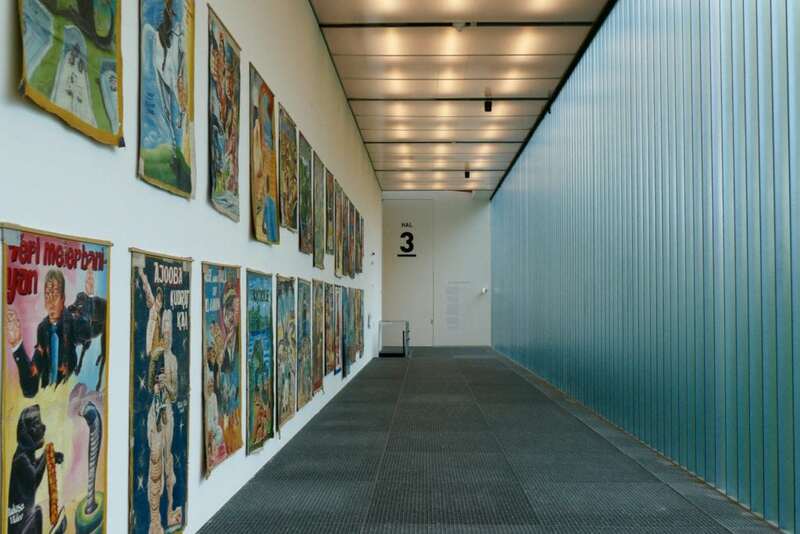 Designed by Rem Koolhaas, this modern building offers 3300sqm of exhibition space. 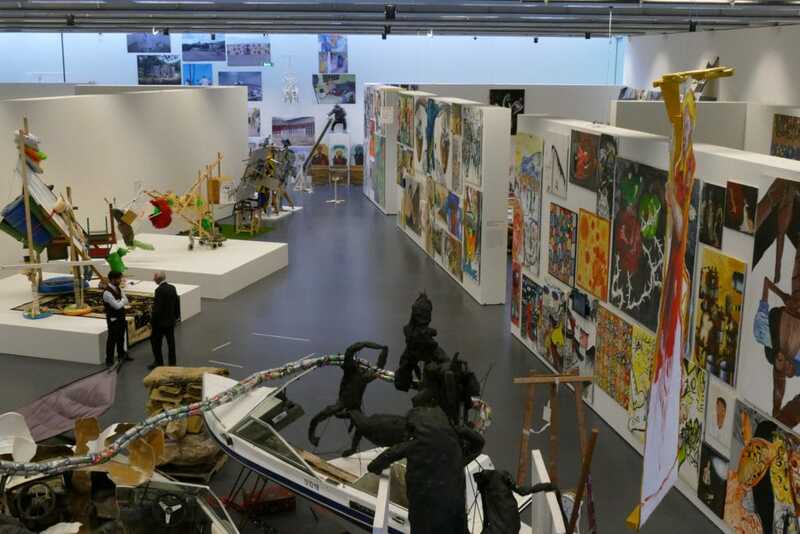 Enjoy lots of modern and contemporary art. Check their website for running and upcoming exhibitions. 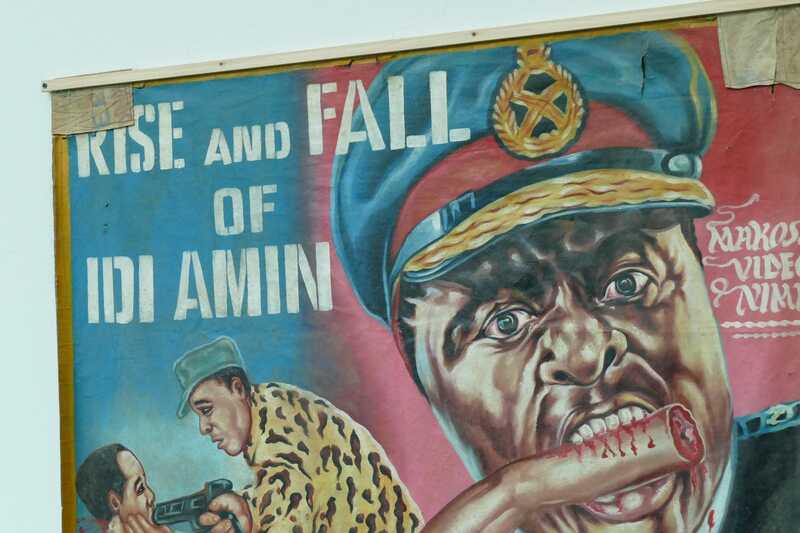 During our visit we were quite intrigued by an exhibition called Bloodywood: filmposters from Ghana 1997-2007…. I wonder sometimes who comes up with these themes? Visiting the Van Nelle factory again was high on my wish list! Years ago I walked the premises while attending an event and the industrial design and architecture blew me away instantly. 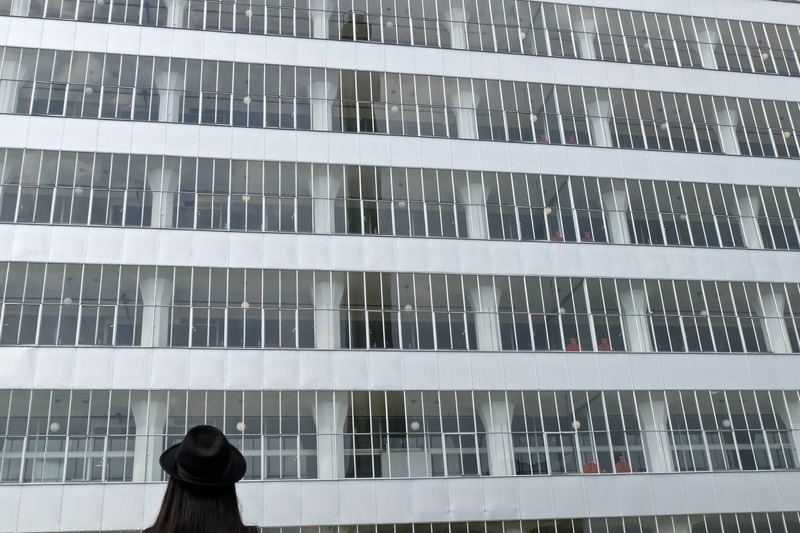 This time we went on a tour by Urban Guides (quite a good way to see hidden – and famous – gems in Rotterdam). Jeroen Wijnhorst from Urban Guides introduced us to the factory: this used to be the place where tea, coffee and tobacco was produced and packed under the Van Nelle brand. 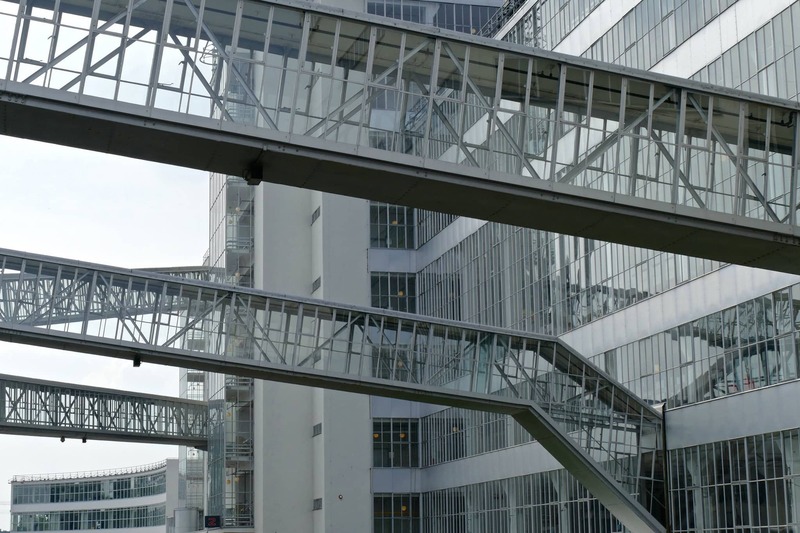 Declared UNESCO World Heritage site in 2014, it’s currently the most prominent industrial monument in the Netherlands. 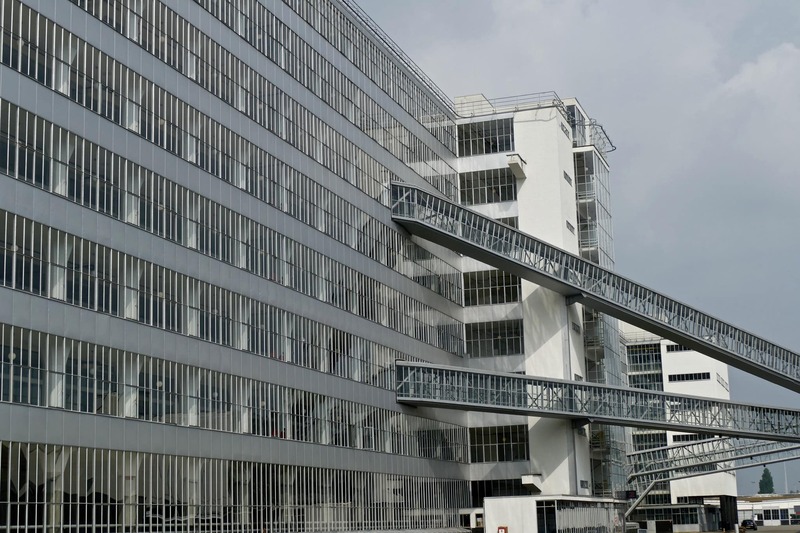 Architects Brinkman & van der Vlugt built the factory between 1927 and 1930 and were inspired by the Ford factories in the US. Open spaces and a maximum of light (so people were more productive). Lots of steel and glass: a transparent spectacle! The building is actually quite narrow so the light could enter far into the building and dark areas were prevented. The design can be called intelligent. Concrete mushroom-shaped pillars were used to support the structure, a first-timer in the Netherlands. The higher you get, the smaller the columns become. 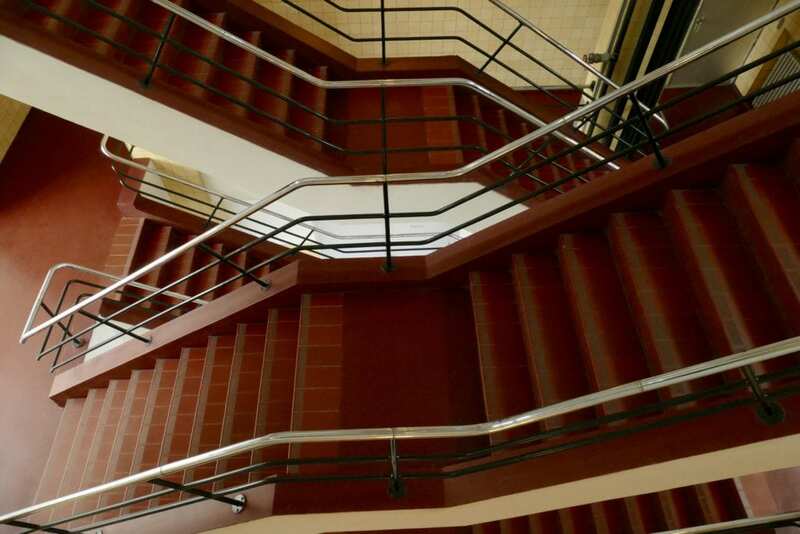 Quite logical if you think about it: higher up the columns need to carry way less weight. Building like that they saved on costs considerably. There is far more great stuff as we discovered during the tour. 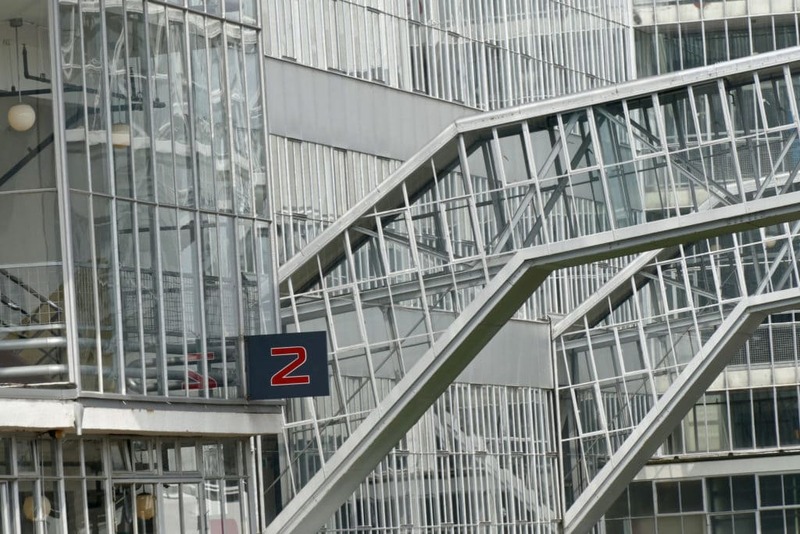 For example, the building has two mirroring staircases. One for the group of workers leaving the building and the other one for workers entering. This way they would not interfere with each other making the whole process of switching workers more efficient. 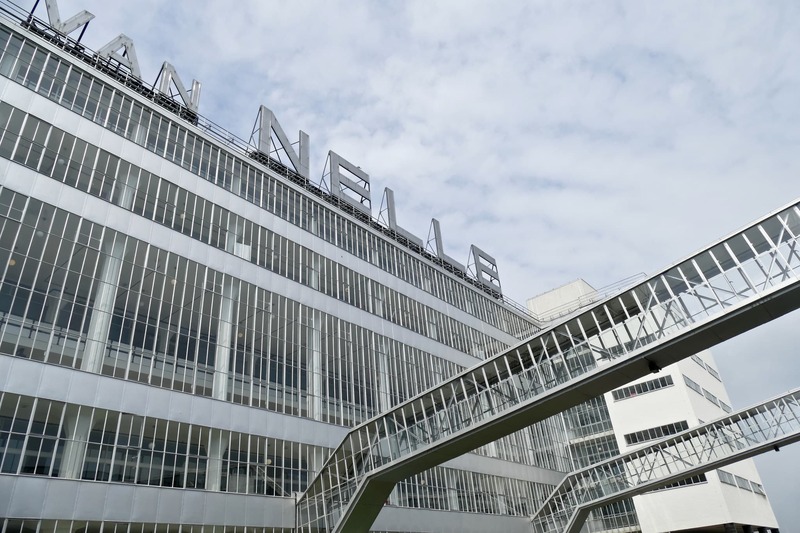 Van Nelle was a popular employer, far ahead in time with offering their employees sports, free showers and paid sick leave (unique!). The complex was renovated and redesigned in 2000 and now has multiple functions for events, start-up companies, fashion shows, etc. 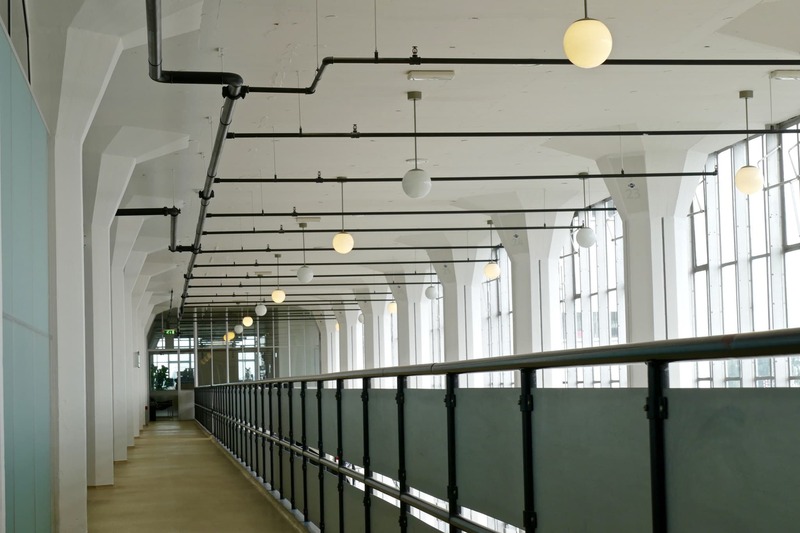 The Van Nelle Factory is so photogenic! Using all my remaining pictures I have published a dedicated photo gallery! 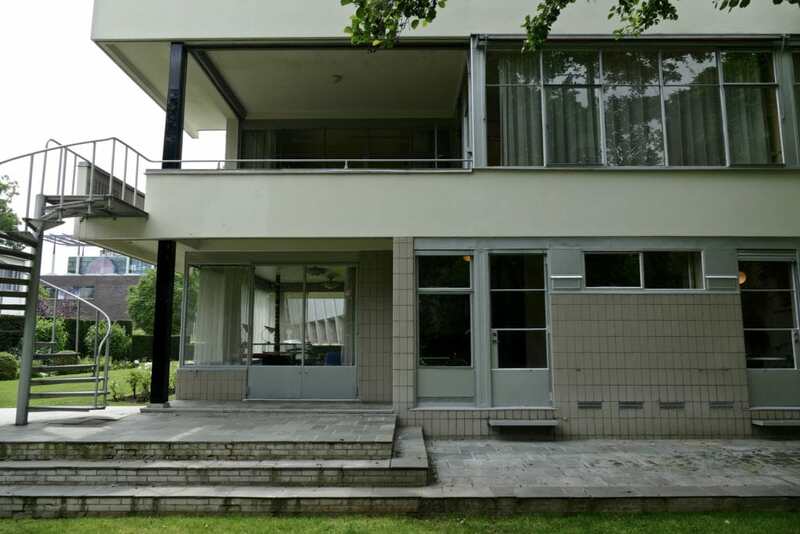 Last but not least: the Sonneveld House. Before I continue I have to make a confession. I used to live in Rotterdam and visit the city regularly, but never before heard of the Sonneveld House. 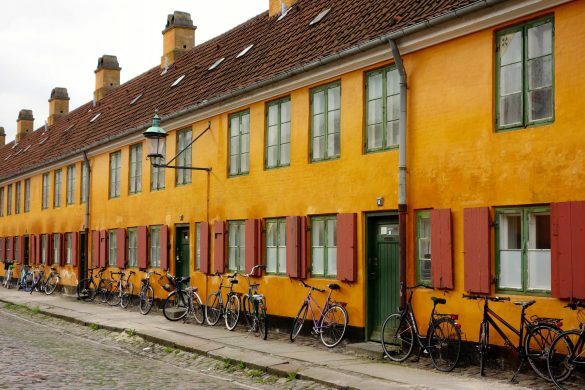 Now I am so happy that this house (actually a museum) was on our press trip itinerary! 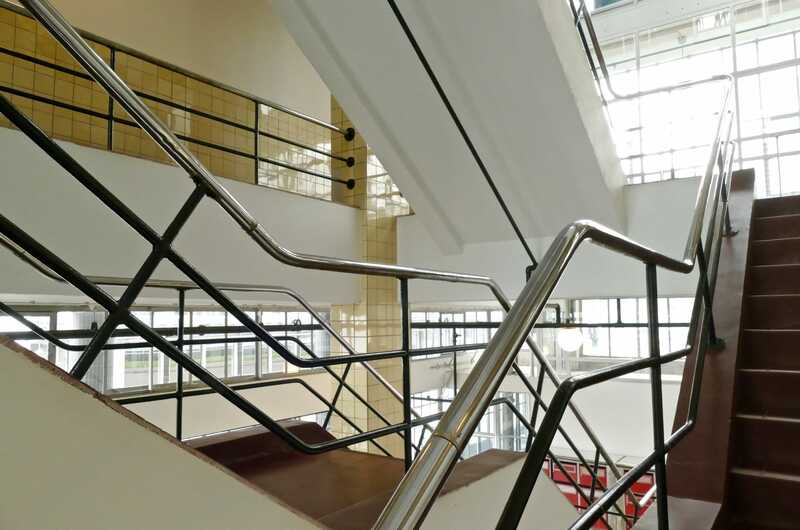 Built in the early 1930s it’s one of the best preserved houses in the Dutch Functionalist style. 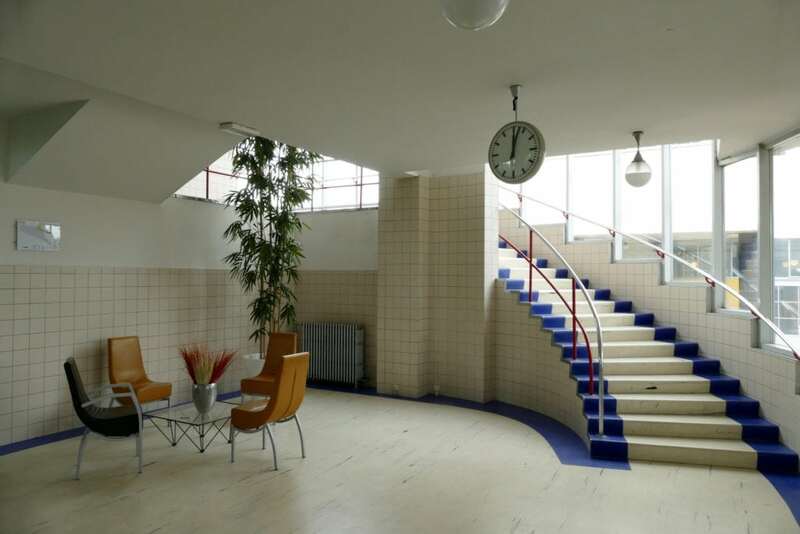 The house was designed by the same architect responsible for the Van Nelle Factory: Brinkman & Van der Vlugt. 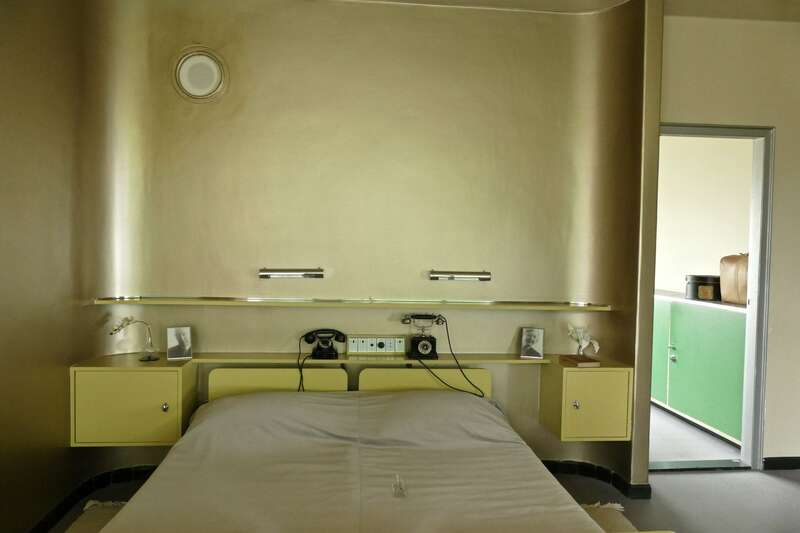 Funny fact: the house was actually designed for one of the three directors of the Van Nelle factory: Mr. Sonneveld. 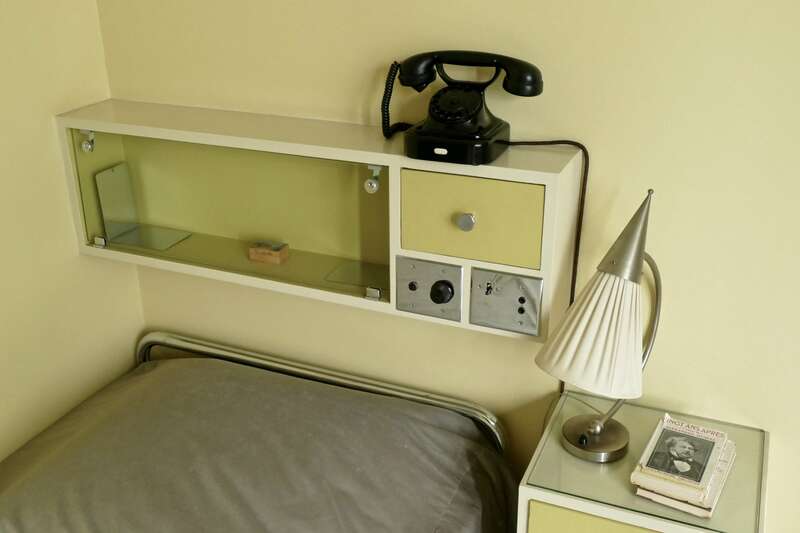 What is the Sonneveld House all about? Well, when you enter you literally step back in time. This is how a home back in 1933 looked like, although a hypermodern one for an ultra-rich family! Definitely not your regular house. The house is a total concept: everything matches but every room still has its own atmosphere. 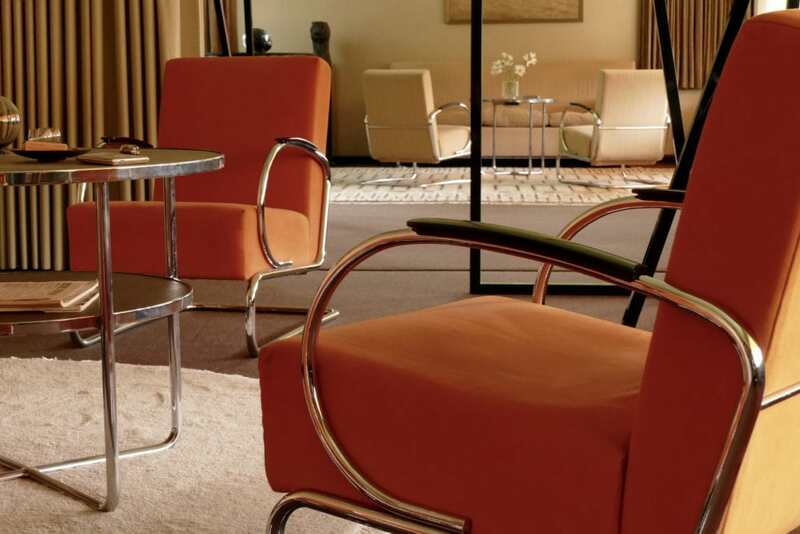 All items of furniture and lamps were made by Dutch designer Gispen (some even especially for the Sonneveld family). 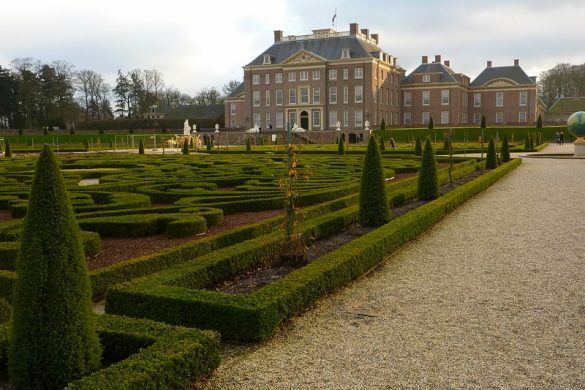 Entrance to the house is € 10,- (children up to 18 free of charge). 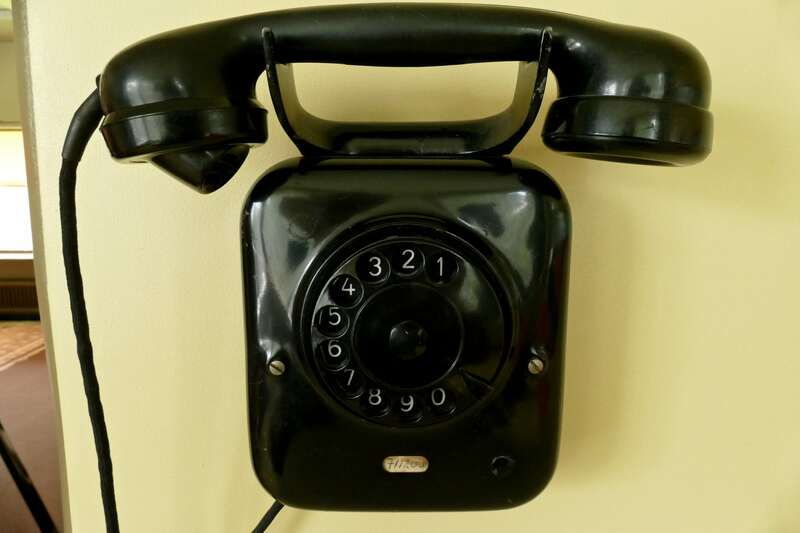 The Sonneveld House offers free audio tours where also a special children’s tour available. And because of the fragility you have to wear slippers over your shoes.. I could have shared more pictures as I still have lots of great ones from the Sonneveld House. 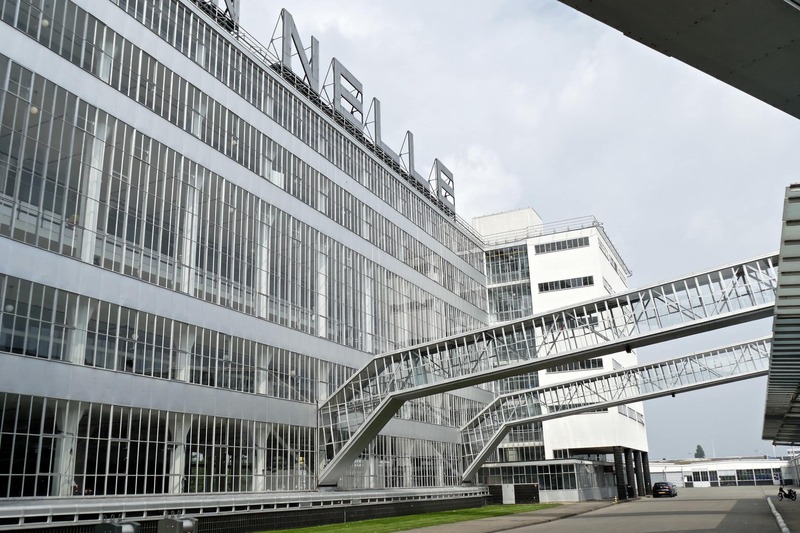 Like with Van Nelle factory I plan to publish a dedicated photo gallery in the near future. In Rotterdam we stayed at the Nhow hotel. 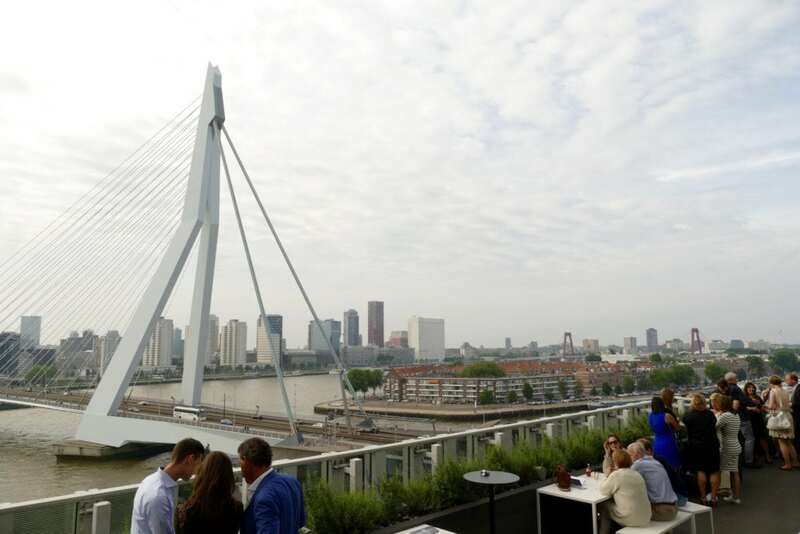 The terrace (where you can enjoy a wonderful breakfast) has great views on the city and the Erasmus bridge in particular. All rooms have a minimalistic design. 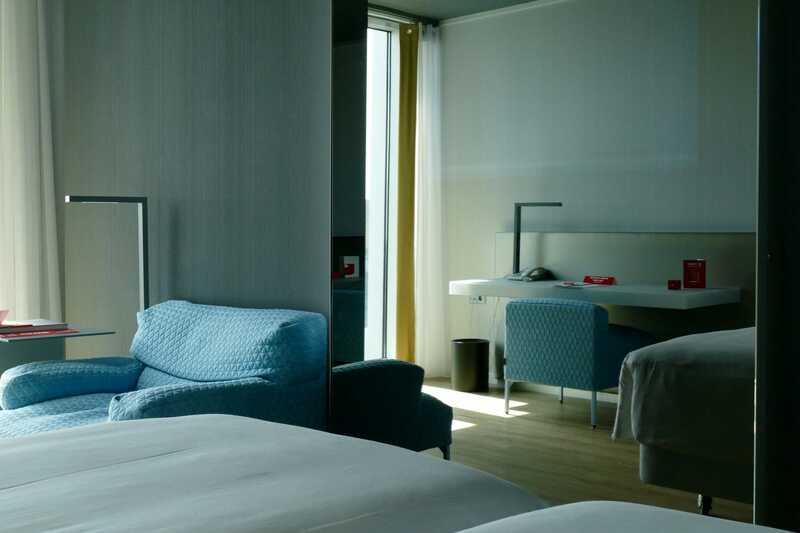 Click here to check out prices and availability at Nhow. 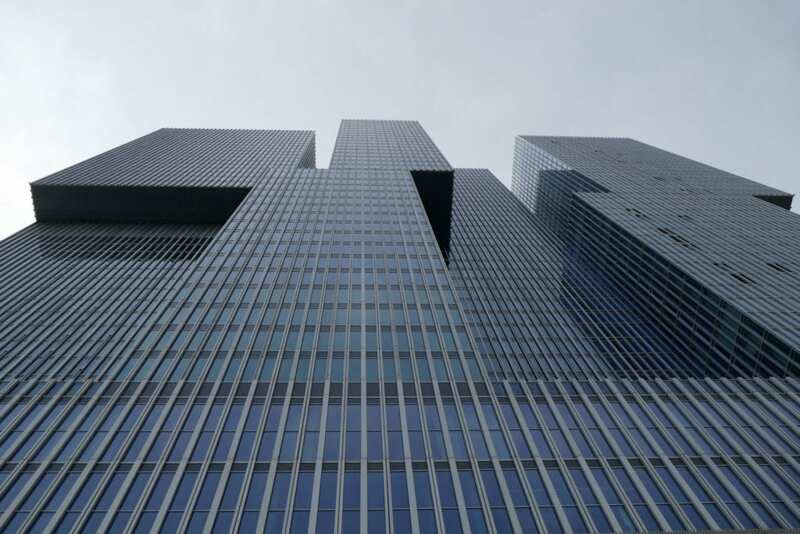 Nhow is situated in the largest skyscraper of Rotterdam, a building designed by Rem Koolhaas carrying the appropriate name The Rotterdam. The city we love to visit, again and again. We’ll be back soon! 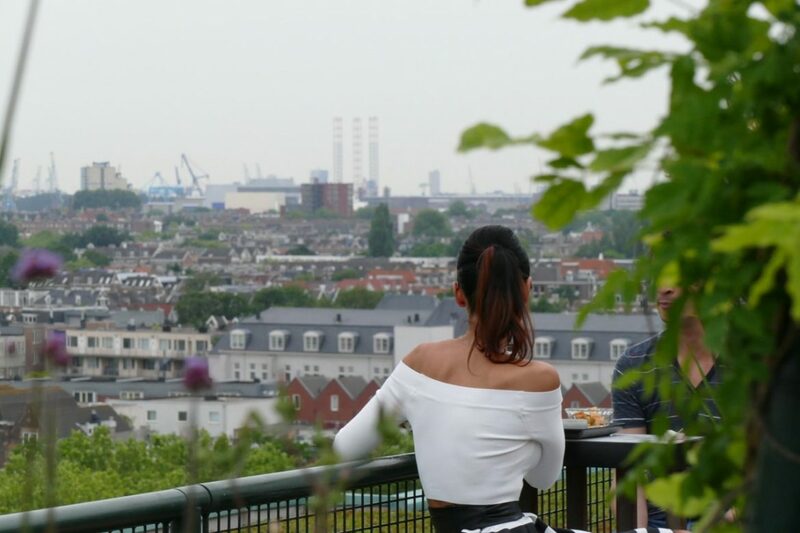 You can find many more stories about Rotterdam on the blog. Click here to get an easy overview.